Dr. Zajac completed his undergraduate studies in microbiology and virology at the University of Warwick, England (B.Sc with honors, 1991). For graduate studies he moved to the University of North Carolina at Chapel Hill (Ph.D, 1996) and then continued to pursue his interest in viral immunology as a Damon Runyon-Walter Winchell postdoctoral fellow in Rafi Ahmed's laboratory at Emory University. 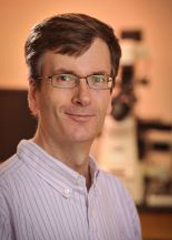 Allan was appointed as a Faculty member in the Department of Microbiology at UAB in November, 1999. My research program is focused on immune responses to infections. I am fascinated by why certain infections and vaccines elicit robust and highly effective responses that can control the pathogen and subsequently provide life long protection, whereas during persistent infections these responses become corrupted. This corruption of the immune response can be catastrophic, resulting in failure to contain the infection, clinical complications, and increased likelihood of transmission. The majority of my research efforts involve investigating cell-mediated immune responses. Our studies have shown that virus-specific CD8 T cells succumb to exhaustion during chronic viral infections as they sequentially lose the typical arrays of effector functions that usually combat the infection. In published and ongoing studies we have used cytokine-reporter mice to track the ontogeny of T cell responses following viral infections. These studies have helped to define the origins of virus-specific memory CD4 T cells as well as the very early activation of anti-viral CD8 T cells which occurs during the first stages of a chronic viral infection. We are currently addressing the specific roles of functionally distinct subsets of T cell during acute and chronic infections, as well as during tumor outgrowth, and are pin-pointing which populations confer superior infection and tumor control and are most resistant to exhaustion. Many studies, including findings from my own laboratory, have highlighted the vital role for CD4 T cells in supporting CD8 T cell responses. Defining how these populations communicate and collaborate to drive strong anti-viral activities assists with devising strategies to improve inferior responses and understanding why immunity can erode. We discovered that the CD4 T cell derived cytokine IL-21 is essential for sustaining cell-mediated immunity in chronically infected hosts. We are now working towards defining exactly how this cytokine operates to support anti-viral T cell responses and exploring whether this can be therapeutically harnessed to boost immunity and improve viral control. Interactions between the cells of the immune system allows for the exchange of molecular information and commands which launch and regulate the individuals response to infections. We are also defining how adhesion molecules, which function to promote cellular interactions, shape the fate decisions of the responding T cells. We have shown that ablating specific adhesion molecule interactions can alter the magnitude, functional quality, and recall potential of anti-viral CD8 T cell responses. The next steps are now being taken to determine whether blocking these interactions is a viable therapeutic option for enhancing immune responses and better containing viral infections. Our studies generate fundamental information which is broadly applicable to understanding immunity to infections. Through a network of local and national collaborators we are continually expanding the scope of our studies. This includes exploring the roles of specific cytokines in developing and sustaining pathogenic autoimmune responses, such as inflammatory bowel disease, as well as examining the roles of cytokines and T cell responses during transplantation. We also have longstanding collaborations to better define how responses to chronic infections of humans, especially HIV infection, are regulated and subverted.